Mancine Body Wash - Rose & Vitamin E 12.7 oz. - 375 mL. 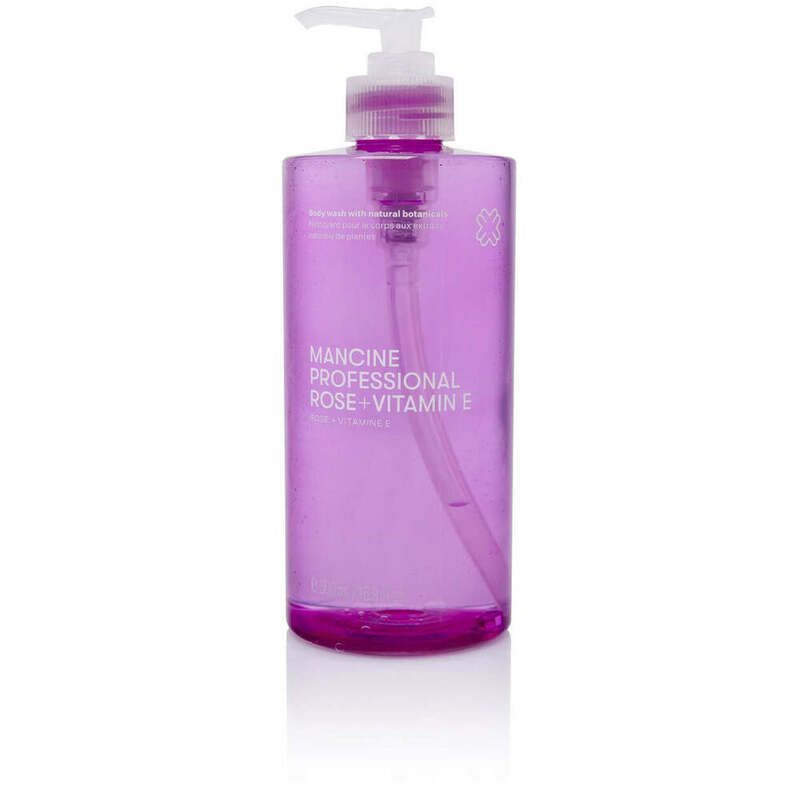 Soothe & protect your skin with this lightly scented body wash by Mancine. Infused with Vitamin E, this antioxidant naturally reduces the signs of aging, fine lines and blemishes to keep skin youthful looking and rejuvenated. Botanical extracts gently detoxify impurities from the skin to protect against the environments toxins. Herbal humectants act as an organic moisturizer, protecting the skin against dryness to keep it supple and softer than ever before. Nourish, invigorate and re-vitalize your skin care routine with the Rose & Vitamin E Body Wash. Apply with a Riffi Exfoliating Massage Mitt for a pure relaxation and purifying skin treatment to deliver peace and wellness inside and out. For ultra pampering complete this luxurious skin care routine with our body butter and body lotion collection.